The Alliance submitted comments of general support on March 18, 2019. We did however have a few suggested changes and questions to make the rules clearer. After the Board gathers all feedback, they will move forward with official filing. Of considerable interest to Alliance members is the new fee structure. Several fees will be lowered and several more will be removed all together. Late renewal fee for Hearing Aid Dealers and Hearing Aid Fitters - $120, late fee in effect for 90 days from date of license expiration; after 90 days licensee may apply for relicensure at the initial application fee. The rules are also updated to reflect the new 2-year license cycle. As you know, at the beginning of 2018, Hearing Aid Dealer and Fitter Board combined with the Audiology and Speech Pathology Board to form the Ohio Speech and Hearing Professionals Board. As the board has settled into their new composition, it was found to be necessary to make changes to the licensure law to make harmonizing changes so the board could function more smoothly. A package of changes was recently passed as a part of an unrelated bill, House Bill 42. Here is a summary of these changes. If you would like more information on any of these changes, please reach out to Alliance representative Amanda Sines at amanda@gov-advantage.com. Changes your licensing cycle from one year to two years. So your license will be valid for two years in the future. The language specifically says: Each license issued is valid from the date of issuance until the thirty-first day of December of the even-numbered year that follows the date of issuance. A license issued less than one hundred days before the thirty-first day of December of an even-numbered year is valid from the date of issuance until the thirty-first day of December of the even-numbered year that follows the thirty-first day of December immediately after the date of issuance. Licensees will be required to complete at least 20 hours of continuing education during each two-year licensing period. Current law requires 10 hours annually. 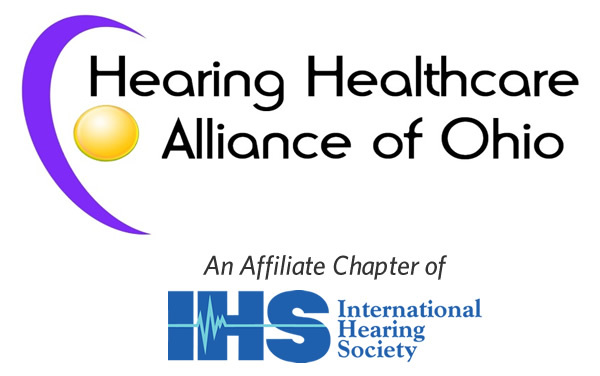 Adds language at the request of the International Hearing Society (IHS) to protect their intellectual property as the Board’s testing contractor. Without this language tests could not have been administered and new licenses could not have been issued. Conforms disciplinary procedures to other licensed professional’s process. Copyright 2019 Hearing Healthcare Alliance of Ohio. All rights reserved.